Surveillance – Sharp Focus or Blunt Instrument? In my work as an independent medical assessor, and occasionally as a treater, I am asked to view video surveillance of compensation claimants. This occurred again recently and caused me to reflect on the whole business of covert surveillance. There was the usual report from another doctor who had viewed the surveillance saying that the worker moved easily and therefore had capacity beyond what they claimed with the almost inevitable conclusion that the worker was fit for unrestricted work. On careful analysis of the surveillance the worker was, in fact, showing evidence that there was limitation of their activity and, after I met the worker to discuss the surveillance and some apparent inconsistencies, it was clear to me that, apart from a little miscommunication, there was no evidence of fraud or misrepresentation. I get an uncomfortable feeling when I am asked to look at video surveillance. Should I be peering at injured workers who are oblivious to the fact that they have been watched by a private detective filming their everyday activities? Is it right that their spouses and children get filmed as well? Is it right to film an injured worker dropping off their children at school and in the process other children are filmed ? By hey! The worker might be committing fraud by claiming that they are worse than they really are, or heaven forbid, there might actually be nothing wrong with them at all! Surveillance must be OK – it can’t hurt anyone and provides an objective means of detecting fraud, doesn’t it? How else can the guardians of our system determine if a claim is without merit? Surveillance of injured workers seems to be an accepted part of the workers compensation landscape. Even lawyers with a focus on an individual’s rights seem to barely bat an eyelid about surveillance. It just happens and almost routinely at that. Surveillance is viewed and discussed behind closed doors by insurers and their advisers and occasionally sees the light of day in the courtroom. There is no doubt in my mind that surveillance is widely used as a tool to try to determine an injured worker’s honesty. Many, if not most, of the injured workers I am asked to assess as an independent doctor have been under surveillance at some point in their claim. I haven’t been able to find any scientific literature about the risks and benefits of surveillance, so I have to rely on my own experience and opinions of others. Perhaps the insurance industry has research evidence about its utility, but even some seasoned claims staff tell me that surveillance rarely provides definite proof of fraud. I have however seen significant harm caused by surveillance, even the possibility that it might occur can have an effect. I have cared for injured workers through my practice who have developed significant psychological illnesses once they became aware that they were under surveillance. I have seen the benefits of months of intensive psychology treatment undone by ill-conceived surveillance. More importantly perhaps, many injured workers restrict their activities for fear of being filmed. This can impinge on physical recovery (and Vitamin D levels) when they remain indoors in the safety of their homes and avoid the resumption of activity that is an integral part of their rehabilitation. Yes, sometimes surveillance does reveal that an injured worker is exaggerating the effects of their injury and very occasionally that there is gross misrepresentation, but the common scenario is that surveillance shows people trying to get on with lives as best they can, despite their injury. Surveillance can tell you what a claimant is doing for short periods if the identity of the person is clear, but it cannot reliably indicate the presence of pain and does not show the after effects of a particular activity. It cannot tell you how much medication they have taken for pain. It certainly is not an accurate tool to measure capacity for work. Brief periods of surveillance are useless for determining capacity for sustained activity. A short sequence that shows a claimant lifting a laundry basket or their 3-year-old child does not equate to capacity to work in a laundry or child care centre. A film does not usually indicate the factors that lead to an activity. Did they pick up their child because the child was hurt? Film can be subject to manipulation by editing. Many workers have expressed to me concern that the videos of them are not complete and some important sequences have been deleted, but it is impossible to confirm that this has occurred as there are other explanations why film might appear edited. Some workers believe that surveillance is undertaken to intimidate, rather than any other purpose. When a worker puts in a claim for compensation it is not explained to them that, as a part of the claims management process, they might be under surveillance with the consequence that their families, friends and work colleagues might be filmed as well. Is the worker aware that when they are booked to see an independent doctor, their claims officer might ask a private detective to film their arrival and departure from the appointment? There are issues of trust here. Once a worker is aware that they are not trusted it can change the dynamic of their interaction with a whole range of claims and rehabilitation processes as well as the mind-set of the claimant. A decision to place a worker under surveillance is clearly not free of risk, or cost for that matter. In my view surveillance is an expensive and blunt instrument, but does it have a place in our compensation systems? The answer is probably yes, but only where there is evidence of frank fraud, an understanding of its limitations and controls over its use. Those who make judgements about surveillance need training to understand the limitations and those who do the filming need strictly enforced codes of conduct. Decisions to put a claimant under surveillance should not be made by a claims officer on the basis of a whim, unsubstantiated gossip or as a ‘fishing expedition’ to look for evidence to terminate a long-term claim. Perhaps an independent member of the judiciary should be involved in the decision to ensure the risks and benefits are properly considered. This entry was posted in Uncategorized and tagged compensation systems, controversial subject, injured workers, surveillance. Bookmark the permalink. 35 Responses to Surveillance – Sharp Focus or Blunt Instrument? A long time back I was invited by one of the TV shows to look at the surveilance clip that they were going to show as proof positive that an injured worker was rorting the system. So I sat and watched the 4 minute clip. Then I asked for the entire video to see for myself what was happening. I also asked for a full copy of the injured workers financial situation and the family support that was on offer most important though I asked for a complete list of medications and the sleeping-resting history of the injured worker. I wanted to also read what the treating medical people were saying. Suffice to say the request was withdrawn. Everything I needed to have access to would have provided a very different opinion to what the TV programme was looking for becuase I would have been able to see that the reason the injured worker was doing the work around the house was because there was no funds to cover hiring someone to do the manual work, I would have seen the length of time the manual work had actually taken to do, I would have been able to see how much opiate based pain killers was in the injured workers system. I would have seen that there was no immediate family help because once more the family had broken under the weight of the workers compensation system. Survelliance clips tell a story-but they only tell a portion of the story. It would be like me sending you a photo of my lunch so you could see what I am eating, but you would have no idea as to how long it has taken me to prepare the meal or how long it has taken me to eat it. It would just be a snapshot in time with no supporting references. 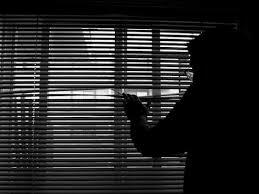 I was subjected to months of surveillance in my Workers Compensation case. I was a senior manager in a Hobart construction business. I unfortunately had to dismiss an employee after several attempts of counselling. I was not aware that this individual had a long history of violent crime. In short, he bashed me (several facial fractures) and then threaten to come back later and finish me off. Apart from the physical issues, I suffered an Acute Stress Reaction and that developed into severe & chronic PTSD. I was fortunate to have been treated by one of Hobart’s eminent clinical psychologists for over a year. I moved to interstate to get away from the constant “triggers” of my PTSD. I kept treatment going via regular phone consultations as well as attending additional face to face therapy. My injury was predominantly psychological. My therapy included trying to expand my world, getting out of the house, trying to push through the fear I had of everything and everyone. What possible benefit could there be in having me under constant surveillance? All the IME reports confirmed PTSD, neuropsychological testing confirmed PTSD, but yet, for weeks at a time, every day, private investigators were in my face! Needless to say that didn’t do a lot to assist my therapy! PTSD is a tough one – fearful at times, aggressively angry at other times and rapid mood swings going from fear to extreme aggression in an instant. I go to a stage where the surveillance got to me so much that I started to follow the investigators and give them some of their own medicine. I openly filmed them, followed them for an hour or more – I just didn’t care anymore, I didn’t care if I got hurt, I was definitely suicidal, but I wanted to hurt them more than I wanted to hurt myself. Using surveillance as a blunt instrument? Absolutely! The aim was to increase the psychological pressure on someone who was suffering from a severe psychological injury so that I would just walk away. I was determined not to let the bastards beat me down. At the time all this was going on, it would have been much simpler to take my own life, as I’m sure many others do in similar situations. However, I don’t believe statistics are kept on suicide by individuals in the Workers Compensation system – it would make tragic, but interesting reading! Thankfully, following treatment at the University of NSW Traumatic Stress Clinic (part of a global study into the treatment of PTSD), I am much, much better than i ever imagined. for me surveillance does not worry me, personally I have bigger things to worry about in life than to spend any energy thinking about it. if some idiot has nothing better to do with their day than follow me around, good luck to them. Isnt it about the frame you chose to put round such things? If I go to my lawyer and he mentions that it is normal practice for workcover to use surveillance but he says hey david look its just part and parcel of the system and there need to be checks and balance, its common practice everywhere now days blah blah – I would walk out thinking as stupid waste of time as it is but ok I can understand the need for the system to have checks and not think about the topic of surveillance again. but if my lawyer says to me oh my god david those bastards treat injured workers like common criminals, total invasion of your privacy you must feel totally violated – Id walk out distressed thinking omg the system is plotting against me and treating me like crap, Id become paranoid every day that Im being under surveillance as Ive been told Im being violated, my mental health plummets. my point is some people place a very negative frame around the issues will want to make a drama out it and let it worry them, others will see it for what it is wont worry about it and couldnt care less, its the frame you chose to put around it. and that I think those that are working with injured workers have a responsibility not to place their own negative frames around things. it does not mean that they have to pretend the system is all rosy but a bit of neutrality or down playing in speech would be more helpful rather than firebrand talk which actually increases the stress injured workers feel and contributes to their mental health issues. the way i see it is we are being filmed everywhere now days, you walk down the street, go into shops, enter my apartment building, we are being filmed on security cameras and watched everywhere now days. you go into woollies and they watch and film our every move to see if we are shoplifting, and as a deterance measure. for me there is no difference. David I can tell you it is more than just another layer of surveillance. I could not work out why my neighbours stopped dropping into see me, or if they did they took the long way round to come through a maize of service lanes to come in through the backdoor. My children (as they were then -10,12 14) stopped having their friends drop over after school. One of my sons was followed to school because the surveillance team did not see me get out of the taxi after doing his seatbelt up. Even going to the playground with my children I was followed, even going to my children’s sport I was followed. one of my sons stopped playing sport because he hated the ever present creepy man who followed us everywhere. I was doing nothing wrong, I was following my doctors directions. But my whole family and my friends were also impacted for no reason other than the case manager could have me watched. I understand that there are security cameras everywhere and for the most part we go about our daily life totally unaware of the system of checks going on. Surveillance is nothing like security cameras, it is intrusive, it is sickening and it is offensive. rosemary, with respect Im entitled to my opinion. if I chose not to let it worry me thats my choice. if you and your family chose to let it worry you thats your choice. there is no requirement for me to think the same way about it as you do. You are very correct David, I support your right to your opinion, my comment was to inform you of how the ever present surveillance impacted not just on me as an injured worker, but on those around me. My hope is that you never need to protect an innocent party from the intrusion of surveillance. David, I am pleased for you that you choose not to be concerned by invasions of privacy. It is your right to follow others’ advice when to worry or not worry and yes, you are free to feel and express whatever you choose. Your comment “… I think those that are working with injured workers have a responsibility not to place their own negative frames around things.” is a bit presumptuous. My treating doctors advised me to ignore these private investigator clowns. However, following the other dirty tricks being played by my unscrupulous, insincere and manipulative rehabilitation consultants, I was highly irritated by constant surveillance. As any life coach will tell you “we choose” how to feel and react to certain circumstances. That should not give the insurers an imprimatur to use surveillance as a blunt instrument – particularly those with psychological injuries. There seems to be a bit of a nasty undertone developing amongst the comments on this site. Rosemary and Fucgu settle down and have some respect for other people’s opinions. Post your comment expressing your opinion and leave it at that, without this continual retorting to every comment that expresses an opinion that does not accord with your own views. Just because another person holds a differing view to you does not make their opinion wrong or “uninformed” (as Rosemary puts it); they have simply expressed their views based on their own opinions, experiences and circumstances. Likewise, Fucgu your sarcastic replies to every single person that expresses a different opinion to you is getting tiring. Mark as the Founder of Work Injured Resource Connection Inc my experience is not just my own, my experience is from the thousands of injured workers over the last 20yrs who have needed help in many ways. Surveillance is always a debatable issue. Invasion of privacy and the accusation of cheating is traumatic. Maybe this is the intent of the workcover process. Restoration of autonomy and trust, erasing the victim status seems a major key in this issue. Reading through these comments it appears the PI structure in Australia is largely unfettered. Where does surveillance crosses the boundaries of investigation to stalking? Should we be counselling those who are subjected to surveillance as victims of crime? Radical? Maybe? What is the psychological impact to a victim of crime? I take David’s point about the ubiquitousness of surveillance, but there is a difference between fixed cameras in public places and being ‘stalked’ by a private detective with intrusion into your personal space. It is ‘stalking’ that I have seen cause the most harm. I also agree that health professionals shouldn’t over react to surveillance, just explain that it is a fact of life. My advice to workers if they are aware that they are under surveillance is to introduce themselves to the person doing the surveillance, but I am not sure how often that advice has been taken up! Injured workers are often already too disempowered by their injury and the system. The other major concern I have about surveillance is the waste of resources that could be better directed to providing healthcare. My guess would be that the use of surveillance within the workers compensation system is here to stay. I can’t see it changing. It’s probably just a fact of life that anywhere people are asking to be given money, whether it be a Workcover or Centrelink, general insurance claims etc, surveillance is going to be used. Its probably not realistic to expect or advocate that Workcover should not engage in the practice of surveillance when the likes of Centrelink etc also use surveillance extensively. I can’t see it being a sustainable or winnable argument to say or advocate that Workcover should not use surveillance to see is a worker is really incapacitated for work but its okay for Centrelink to use surveillance on a Disability Support Pension claimant to see if they are really incapacitated for work. To me the issue has to be looked at broadly and is more about whether the community think any surveillance, regardless of the circumstances and by whom, is appropriate and something we are prepared to accept or not, rather than purely looking at the issue of the use of surveillance in the Workcover system in isolation. Given the serious adverse effects of surveillance on an injured worker’s mental and/or physical health, It’s deeply concerning that the workcover authority (and its agents) does not appear to be showing any restraint in this area. We accept that the few people doing the wrong thing should be caught, but the VWA seems to be doing it with little thought or restraint. time and the large amounts of money being spent, for what is a very limited return. It is time for the VWA (and other workcover authorities/insurers) to rein themselves in – investigators should only be engaged by the VWA when there is a good reason to suspect a fraud being committed, not just someone is lodging a compensation claim. The VWA would be better off to redirect its funds to preventing workplace injuries and helping injured workers obtain prompt medical (and like) treatment and help them get back to work. Most surveillance by the VWA has nothing to do with “fraud” investigations so to compare the number of people surveilled with the number of people prosecuted for fraud is just nonsensical. Much of the surveillance is conducted as part of serious injury applications and forms part of the defendants evidence in those SI legal proceedings. Further, your claim that there is all these criminal cases whereby injured workers were found not guilty of fraud, again this is nothing more than one of your made up claims that you then propagated as “fact”. Perhaps you would like to post the links to all this supposed criminal case law you claim exists that you have read to support your claim, after all you state “we” “have all read” it so you shouldn’t have any trouble finding it again, will you? The reality, though is does not fit with your scaremongering propaganda, is Government agencies such as WorkCover and Centrelink have very strict prosecutorial guidelines and only prosecute as an absolute last resort, unlike the police, and hence the small number they do prosecute will generally result in conviction. Government agencies primary goal is the recovery of the money that was falsely obtained; not to prosecute. There is little to no chance of the Government Agency recovering the money falsely obtained if the person is convicted and sitting in gaol. Hence, if you are caught and if the money is repaid then it is unlikely you will be prosecuted, except for the most egregious of cases. Most people who are caught are smart enough to know that they have been caught out and agree to repay the monies to avoid prosecution. It is only the fools that hang on rather than accepting the gig is up and repaying the money that end up being prosecuted. We all could have a very logical debate on the fraud and prosecution within WorkCover, if those authorities released some hard data. If it is good enough for Centrelink to release this data, admittedly through the National Audit Office, surely if would be in everyone’s interest to get the facts. No genuinely injured person wants to stay in the WorkCover System. Yeah, let’s rid the system of fraud- fraudulent claims by individuals, fraudulently underestimating payroll by employers, fraudulent IME doctors who “verbal” legitimate claimants and fraudulent insurance companies (e.g. Victorian Ombudsman 2011 report into Worksafe where CGU falsely claimed $2.5 million, which it had to repay back to WorkSafe, plus a fine of $2.8 million. Surveillance is a legit tool in the fight against fraud, but it should not automatically be on the “to do checklist” in dealing with the seriously injured. I don’t think anyone is suggesting that surveillance should be ceased. However, the misuse of surveillance should cease and redeploy the funds for the treatment and rehabilitation of the injured. According to ANAO Audit Report No.10 2010–11,Centrelink Fraud Investigations, in 2008-2009 Centrelink conducted 26,084 fraud investigations. 5,082 were referred to CDPP resulting in 2,973 convictions. That is a conviction rate of 11.4%. As @Workcovervictim quoted the WorkSafe VIC (VWA) in 2010-2011, surveilled 6,675 cases resulting in 118 convictions. That is a conviction rate of 1.76%. I don’t wish to sound tiresome, but a 1.76% conviction rate seems a tad low. Surely this raises some questions regarding the effective use of surveillance in WorkCover Schemes? There are many valid perspectives on this controversial area, and while I don’t want to limit the debate, I think some of the comments are targeted too much at the individuals making comments. Macky has commented as a lawyer as to what happens in Victoria. I don’t know much about Victoria and although I am not involved in decisions about putting claimants under surveillance, what I see suggests more than just preparing evidence for ‘serious injury’ court cases. Claims officers have limited actions they can take and it seems that surveillance is too often requested, without appreciation of its negative impact and limited utility. I do welcome the legal perspective on surveillance, but would question whether surveillance can prove the legal case unless medical ‘experts’ over interpret what they see. What I do see is some people adversely affected and a lot of money wasted. I agree surveillance is here to stay, but my focus is on increasing understanding about its limitations and the harm that can occur in some cases. Much of the surveillance is a waste of money, however having said that, the thing with surveillance is that more often than not it actually assists the injured worker’s case rather than detracting from it. In Victoria, most surveillance, with the exception of where fraud is suspected, is used by WorkCover more to check up on or verify the extent of the person injury or incapacity or impact on their life at certain trigger points during the life a claim eg 130 weeks worker is seeking ongoing payment for permanent incapacity, lump sum impairment benefits, and predominately serious injury applications via the narrative test to access common law damages. The courts expect to see surveillance footage, however when no surveillance is tendered as evidence by WorkCover (as is usually the case) the judge will always draw the inference that the surveillance turned up nothing that is of assistance to the defendants (workcover) case e.g. the footage, if tendered as evidence, would actually support the injured workers case – and that’s why they are not showing it! This is far more common scenario than footage being shown and arguments about what is means or shows. If surveillance was only occasionally untaken in a small number of claims, the courts would not be able to draw such an inference. However, as the courts are well aware that surveillance is always pretty much undertaken and if there is nothing for WorkCover to show as a result that means the surveillance didn’t turn up squat to disprove or anyway call in question or doubt the injured workers claims. Why knock back a free goal given to you by the other side?! Certainly in Victoria most workers are well aware that surveillance goes on. Their lawyers certainly all advise them of this and many have warnings posted their websites about it. So most workers are well and truly tipped off in advance that they will more likely than not be put under surveillance at some stage, which really does diminish its usefulness, but it also means that most workers are not surprised or so caught off guard should surveillance footage emerge at some point. The last thing I would add is that surveillance is not unique to workers compensation claims, its used in all manner of personal injury claims/legal proceedings. If your are injured in a car accident and claim under the Victoria TAC no-fault scheme. Or if you slip over in Coles and seek to sue them for your injuries, you can bet your bottom dollar Coles lawyers or their insurer is probably going to have your put under surveillance to see if you are really as injured as you claim. If I slip over in your driveway and try sue you for my injuries, your lawyers will be arranging surveillance on me when it’s your money at stake. So I think as Mark said, the issue of surveillance and its impact on the injured individuals put under surveil has to be really looked at in a more broader context than just workers compensation, as it would be safe to assume that surveillance has equally the same psychological impact on motor vehicle injury scheme claimants, public liability injury claimants, medical negligence injury claimants as it does on workers compensation claimants. So I think it would be difficult to call for it use to be restricted on one class of injured persons but to allow it to continue open slather on another class of injured persons. Peter, by way of background as to why surveillance is used so extensively in serious injury applications. In Victoria, access to common law damages is restricted to workers who have sustained a “serious injury”. The worker’s injury must satisfy either the “deeming” test or the “narrative” test. To satisfy the deeming test the worker must have a WPI of 30% or more, similar to other States. However, in Victoria, relatively few workers are able to access common law through the deeming test, as they simply don’t meet the 30%WPI to be granted a serious injury certificate. As a result the vast majority of workers seek the right to access common law via the “narrative” test through the court. This test is an alternative test to the quantitative test. It does not rely on a percentage impairment score but rather relies on an assessment of the effect of the injury on the workers quality of life. As this is a qualitative test, it requires a careful assessment of the full occupational, social, domestic, financial and psychological effects of the worker’s injury. In considering this test courts will look at many factors in determining whether an injury may be considered to be serious or not; it is not just restricted to medical evidence or assessment. Each case must be assessed on its own information about the full effects of an injury on the person. Often the injury and diagnosis may not be in dispute but rather its extent of the impact on the totality of the worker’s life that is in dispute. For example, the worker may be stating that never leave the house, don’t participate in any social activities, don’t engage my most favourite hobby anymore, lost all my friends, my spouse, kids and the dog want nothing to do with me because I’ve become a bear with a sore head to live with, or whatever, and hence the impact of the injury on my life meets the severe test. It’s often these sort of social and relationship consequence as a result of the injury that are being relied or contested to meet the test, rather than the physical limitations which can more readily be supported by medical evidence. As a consequence it is the area where surveillance is often most heavily used by WorkCover, presumably they see it as an easy way to check up on the veracity of the impact of the injury on the worker’s life as allege by the worker or they suspect the that the impact on the worker’s life is not as great as the worker is alleging. Given the big $$ that are paid out per common law claim its probably not surprising the WorkCover focus their surveillance efforts here. A few thousand spent on surveillance if it results in that worker being denied the right to commence a common law claim, has the potential to save the scheme hundreds of thousands or million dollars or so just with that one worker. Ah! Crossing the Common Law Threshold! Yes, the “narrative test’ in Victoria would explain the need to independently verify a worker’s claimed incapacity. In Tasmania the threshold has been reduced from 30% to 20%WPI and there is no ‘narrative test’ hence there is less emphasis on surveillance in preparation for court matters, but surveillance is still widely practiced here during the course of a claim. Perhaps that is a reason to ditch (or not introduce) a ‘narrative test’. It must be a boon for the surveillance industry, but is it fairer than just reliance on an impairment rating to decide on common law access and compensation for serious injury? Not sure I know the answer to that. WPI ratings have problems of their own, but that is another story. The narrative test is more a boon for lawyers than the PIs! Jokes asides, having the narrative test as an alternative available route is certainly much fairer. Regardless of what impairment rating system or WPI% threshold that is used there will always be those people that don’t fit neatly into a standardised box because their unique (or not so unique!) circumstances. And if a certain WPI% threshold is the only option available to meet the common law threshold it closes the door shut on theses workers because of its rigidity. So the narrative test removes this unfairness. People with pain syndromes are a classic example. There was some discussion on here a while back about the issue of pain/pain syndromes not being rated; the narrative test allows for this anomaly to be rectified via the using of a different test to meet the common law threshold. And pain syndromes/consequences are certainly a big lot of the cases using the narrative test. Regardless of where you sit within the Victorian workers compensation system – plaintiff, VWA, lawyer, medicos, the courts – no one has ever advocated for the removal of the narrative test. Surveillance issues aside, the narrative test comes with its own issues too; Peter you’re certainly right it’s all another whole topic in itself. An injured worker’s weekly payments for her ‘tennis elbow’ condition was ceased by WorkCover SA who alleged, after Surveillance, found she was not incapacitated and she had breached her mutuality obligation by being dishonest. breached the Act, by discontinuing payments before a determination was reached, not bringing the payments up-to-date once it had been ordered to continue payments, and not issuing fresh notice under s36. under the Act” .The injured worker was cleared of fraud, even at Appeal. condition Chronic Regional Pain Syndrome (CRPS), aka known as Reflex Sympathetic Dystrophy (RSD) has in fact been cleared of committing workcover fraud by deceit by exaggerating his condition. The Tribunal in this case, found that any demonstrable improvement in the injured worker’s condition was due to his medical treatment’s success. knowingly made false statements about her physical capabilities. The injured worker was a cleaner, employed by Mastercare Property Services. She had been injured in Dec 2002 when bleach caused chemical burns to both of her eyes. Her claim was accepted and she received weekly payments until 9 Sept 2003. Her employer (insurer) then sought to recover payments that had been made to her since 18 April 2003 (an amount of $4,131.60) based on video surveillance “evidence” from that date which allegedly showed the injured worker “unaffected by her claimed (eye)symptoms”. Two eye doctors where then shown the video tape and said that the injured worker appeared to have been exaggerating her eye symptoms. They also said they would have expected her eyes to be healed by now (the time of the surveillance). payments she had received (basically accused of fraud) and ordered that she repay them. Just like that. The injured worker successfully appealed this “order” to the WA Compensation Magistrate’s Court, and also sought re-instatement of her weekly payments from 7 April 2005. The injured worker stated their was no evidence really to support the finding that she had recovered from her work-caused eye disability. The NSW Workers Compensation Commission ruled that a video surveillance of an injured labourer lifting a couple of bricks was not proof that the injured worker had any meaningful work capacity. bricklayer, it provides considerable corroboration for Mr W’s complaints in that it shows him walking with a limp, Roche said. I have found the surveillance video to be of limited probative value in the assessment of this case. nevertheless impressed with both medical experts testimonials and concluded there was significant symptomatology representing a 40% restriction in her future work capacity…. Even though he was seen bending and lifting on video surveillance, the AIRC has ruled that a Qantas officer’s compensation claim for a totally incapacitating back injury was not fraudulent .The Qantas officer and his doctor successfully argued that none of the activities he carried out on the surveillance video were inconsistent with his injury or his level of incapacitation. practitioner, “the matter may have taken a different course”. Simmons v Wanless & Anor  QDC 042 Kingham DCJ 10/03/2014. (injured worker) walking along the street. After the video had been shown, counsel for the inured worker, Mr Hore-Lacey QC, made a request for further information to be provided to the injured worker (plaintiff). Relying upon Alcoa of Australia v McKenna (2003) V.S.C.A 182, Higgins J ruled that the defendant “produce any further surveillance material which was in the possession of the defendant (the workcover insurance company) and which related to the injured worker’ss neck condition”. that he again placed his right arm on the left side of his neck as if in pain. Court being mislead insofar as the nature and extent of the plaintiff’s symptoms are concerned”. therefore worthwhile in all s134AB applications pursuant to the Accident Compensation Act (and s93 applications pursuant to the Transport Accident Act) to seek full production of video surveillance material in cases where the Defendant seeks to rely upon such surveillance. It is also worthwhile bearing mind the obligations imposed on the VWA pursuant to section 134 AB, that is, to provide all material in the defendant’s (the workcover insurance company) possession and upon which it intends to rely as part of the response material rejecting serious injury. played to the court in circumstances where the surveillance log but not the tapes were supplied as part of the 134AB response material. The County Court’s chief judge has warned WorkSafe Victoria to be more realistic about its legal battles against workers applying for compensation, which he says are putting pressure on the court. Chief judge Michael Rozenes lashed out at WorkSafe in the court’s annual report on Tuesday, criticising the number of challenges it mounts. He said WorkSafe had challenged 228 of the 302 serious injury applications concluded in the court in 2012-13. Claimants won most of these contests. ”The VWA is a litigant which consistently loses at least 80 per cent of the applications it contests,” he said. It is very interesting to read of the situation in Australia. In the Czech Republic, a worker who is absent from work and claiming sick pay is “expected” to stay at home and be available to take a phone call. It is the insurance companies who make the call and if “not in” on two occasions, sick pay ceases. Here in the UK, the sick pay is paid by the employer with a contribution from the state called Statutory Sick Pay. It is generally (but not universally) accepted that people who are sick (for whatever reason) are still entitled to go about their daily lives; go shopping, pick up the kids from school, console a crying infant etc. on occasion I have had to remind an employer that an employee is entitled to eat (in a restaurant). The state does not undertake surveillance for SSP but it occasionally does for long term benefit claimants. However surveillance is rarely used in the UK. I have suggested it to an employer in only a handful of cases in 20+ years as an occupational physician and almost invariably after I have seen the individual and considered them fit for work only to have them present another sick note to their employer – one doctor’s word against another. What has probably occurred in Australia (forgive me I am not knowledgeable of the WorkCare set up) is that insurers have had a few successes, have decided that in expensive claims it makes sense to undertake surveillance and so a largely unregulated surveillance industry has been born who in turn have convinced the insurers and the defence lawyers of the value of their service in ever diminishing claim values – there is too low a low threshold for triggering surveillance. Lawyers like to work in a world where the evidence is generally black or white. Medicine and most importantly occupational medicine exists in a rather grey world – ill health might prevent a worker from working in one role or industry but a different role or industry and different domestic circumstances may indeed make it possible for them to resume work. To that extent I share my Tasmanian colleague’s view that surveillance is a blunt instrument, a 30 second clip edited from 4 hours of footage taken over 3 months is rarely going to be representative of the overall situation. For that reason I have been reluctant to view footage and give an unbiased medical assessment. Whilst surveillance does have a place, I do not believe it should be undertaken for protracted periods of time and some form of industry regulation and/or legal requirement to seek permission from a Court before commencing it for a defined period of time might help reduce the mistrust and sense of “big brother surveillance” that appears to have developed. Thanks OccDocUK – always interesting to get an international perspective. I understand that in NZ the ACC does not allow surveillance! I wonder if there is a difference in the amount of surveillance undertaken in those States such as Tasmania, WA, NT where workers compensation is privately underwritten by private insurance companies as opposed to States such as VIC, QLD where it is a central statutory scheme underwritten by the state? My gut tells me that possibly in those states where workers compensation is underwritten by private insurance companies, private insurers would be pretty much free to engage in surveillance when, where and no matter how grubby, as they chose as its their money. Whereas perhaps the centralised schemes that are run by the state may have more controls around the used of surveillance and that any use has to conform to a higher standard of what people expect of a government agency. Workcovervictim this ream of unreadable gobbledygook that you have posted are all civil cases not criminal cases. None of it has anything to do with criminal prosecutions for fraud. What does it matter Civil or Criminal? If an injured worker/person has proved, in a court of law, that he/she was falsely accused of fraud, I would’ve thought that listing these cases, as per your suggestion, would have answered your comment – in principle. The only time I have been filmed (as far as I am aware) was for 130 week termination. Was shown the film at the medical panel . When I saw the video at the medical panel the first thing that came into my mind was christ my bum looks big. So I fully agree that surveillance film can lie; my bum isnt big!! I think at the very least if these buggers are going to film us they should at least be required to film us on our best side. The surveillance film didn’t help workcover and medical panel didn’t think so either. They thought the “film confirmed the limited range of movement reported by Ms Claire”. Ive always wondered if workcover didnt take the surveillance film would have the medical panel have found in my favour. If I remove myself from the issue, I don’t dispute the right of Workcover to undertake surveillance, but not much of it seems to achieve very much so what’s the point to it all? is it for no other reason than for deterrence value?? If I may pour a little oil on troubled waters …. In the UK, there have been some notable and much celebrated successes of surveillance by the State for claimants of long term incapacity – the chronic bad back complainant filmed up a ladder clearing his gutters with ease, the man with a smashed pelvis filmed running a marathon etc. but in truth these are relatively rare. The economic downturn of 2008 has led to a tightening of the rules and has reduced the number of folk on benefits and arguably forced them back into employment. But occupational physicians are rarely consulted about them in the first place – their period of long term sickness absence is as much a failure of the National Health Service to offer timely treatment as it is their GP’s failure to “look outside the box”. The GP who signs them off long term is the same GP who initiates the disability claim, I believe that to be wrong – workless ness is rarely about skiving but it is almost always associated with poverty, depression and family deprivation. An outside agency was appointed by government to review disability claimants and a large proportion of claimants were declared as fit to work. The appeals process generally reinstates benefit in 40% of cases at appeal – much lauded as a sign that the rules are too stringent but failing to accept that 60% of cases are unsuccessful. Macky comments on the civil v criminal and WorkCoverVictim’s post. Given that these cases require a doctor to have signed the paperwork, arguably the doctor is either incompetent at assessing the true extent of the disability, is complicit in the fraud or has him/herself been hoodwinked by the patient. Few jurisdictions will jump to the conclusion that the doctor has been complicit in fraud even though on occasion I have believed that to be the case as Drs in general practice like to defend their doctor patient relationship and so offer a lower level of scrutiny. I must say however that I am surprised how extensive surveillance has become. Macky, do you have a source to justify your post that the majority of surveillance actually supports the claimant? I am heartened by that (but still disappointed by the extent of the industry and the resulting intrusion into people’s lives). Regrettably I have removed some personally directed comments, but have otherwise tried not to restrict comments on this site. While WorkCover Victim’s listing of cases is rather long and the cases are civil not criminal, I think it is valid to consider legal decisions relevant to surveillance, however I wonder how many such decisions have found that surveillance did indicate exaggeration of disability. There has also been discussion on LinkedIn about surveillance in response to my blog post. Internationally there also appears to be wide divergence of opinions about surveillance, but I cannot find any guidelines for doctors about interpretation of surveillance. You may be interested to know that at medical school and during specialist training as an occupational physician, there was no training in the interpretation of surveillance! I think surveillance is one of those vexed issues that much of the debate is far too coloured by urban myths and hearsay surrounding PI’s and surveillance to get to the crux of the real issues and impacts. when, where, how, why and how often is real surveillance really undertaken and the impact of such e.g. the impact of real surveillance as opposed to imagined surveillance. From reading the above as it appears surveillance is used for a variety of purposes, fraud detection being the least, so it would interesting to know how successful is surveillance in achieving each of its intended purposes vs. the cost and impact of such. Much of this information would presumably have to come from Workcover. Going back to the original issue raised by Peter Sharman about the impact of surveillance on injured workers. Given views seem to be split between those workers that are fairly nonplused about it right through to those that are quite upset, distressed, outraged and so forth about being put under surveillance. No one likes to be put under surveillance but it would be interesting to know why surveillance impacts negatively psychologically on some workers but not others. What are the factors that differentiate those that are negatively impacted opposed to those that are not. Is it the psychological makeup of the individual, or the type of injury they have, minor vs major injury, or the strength of their claim or simply lack of knowledge or forewarning about its use?????? Again, I am talking about injured workers who have actually been put under surveillance rather than those that have perceived, assumed or speculated that they have been under surveillance. I’ve seen this scenario played out destructively by some injured worker agencies as well. The big bad insurance monster lurking around every corner. Making anyone who appears to conveniently fit the profile a threat. Works for some, but its nasty enough to nerve even the strongest of the unsuspecting. Professional counselling not fear mongering should be on hand at all times. Why don’t these support groups make an open challenge to these insurance companies for stalking. Yes, stalking laws should apply. Tell people the truth. The correct concept of workcover. It is the employer paying the insurance company. Therefore all injured workers can become suspects. When a injured workers pathological reports and treating Drs agree with the worker. A snooping insurance company should be accountable of harassment or stalking. Family services should become involved if children are threatened. Believe me, that works! I took a rehab officer off my case because they wanted my daughters treating Dr. As I couldn’t make a case conference due to an appointment for her. My employer was not thrilled either at the insurers behaviour. They are not Gods and injured workers along with support group advocates, lawyers etc; should make boundaries.